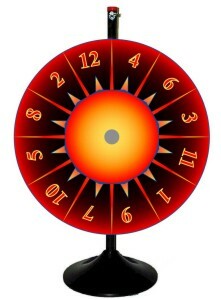 Prize wheels, custom prize wheels, promo prize wheels, trade show prize wheels. Design proofs in 24 hours! customer incentives, retail promos, lectures...any situation where you need to get your customer's attention! 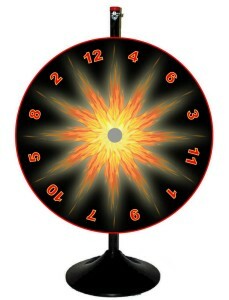 Our prize wheels are custom designed to your specs (included in the price), on-time and on-budget! 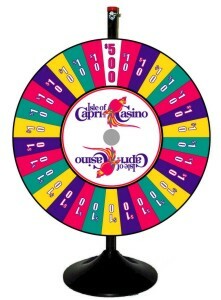 Call us today and let's get started on your custom prize wheel.